Canada celebrated a historic milestone this week when its legal adult-use cannabis market opened Oct. 17. In the days that followed, government-run corporations in each province began overseeing product distribution. 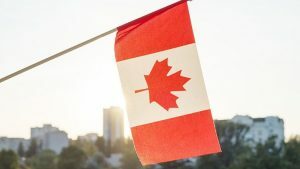 While some warned of product shortages and a lack of retail outlets, Canada’s cannabis legalization represents a monumental leap forward in cannabis policy reform that some hope will help accelerate reform efforts in the United States. “We’ve been watching Canada’s evolution for several years and while [this] is certainly a milestone, it is really just the next logical step on their journey to end cannabis prohibition,” added Mark Grindeland, co-founder and CEO of Coda Signature, a producer of cannabis edibles, topicals and oils. Already, Canadian licensed producer The Green Organic Dutchman (TGOD) has seen tremendous product demand through online and retail sales, with dispensary lines spilling into the streets of Kamloops, Calgary, Winnipeg and Nova Scotia, according to Vice President Danny Brody. In Ontario, the province’s online store averaged more than 100 orders per minute and crashed intermittently throughout the first day of sales, he added. With Canada serving as an example, some are hopeful that the U.S. might be the next country to end federal prohibition. “As an American, I am disappointed that the federal government’s ignorance has pushed us to miss out on many of the opportunities and investment dollars on which Canada is capitalizing,” Zucker said. The disconnect between cannabis’s federally illegal status and the states that have legalized the drug has caused complications and confusion for the U.S. industry. According to Derek Riedle, the publisher of Civilized, Canada has an opportunity to show its southern neighbor that legalization can be done. In the meantime, Canadian companies continue to seek investment opportunities, a trend that will likely grow with a regulated market in Canada.